*Between 7.30am - 4.30pm Monday - Friday. We are really please with the quality of the materials used and the speed and professionalism of your team that carried out the installation. Our conservatory has been transformed into a really usable room and the the new roof really does cut down the amount of heat gain from the sun. This was well tested at the end of the week! Having just had new windows, doors, fascia, soffits and guttering done by your firm I would like to say a big thank you to the men who did the job. They were all very friendly and hard working and have also done a lovely job, I am so please with them, my bungalow looks completely different. We have always received an excellent quality job. They always start and finish the work as required. A company we can always trust and recommend. We have always received prompt service, valuable advice and good value for money. A very prompt and efficient fitting and remedial team make them a valuable and trusted supplier to our company. Thanks Keith, for my two new replacement glazed windows, job well done. Note our mobile telephone number is for emergency call out only. Please call our office number for all other services. 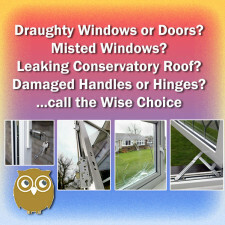 Lincolnshire’s No.1 Glazing Service for Windows, Doors and Conservatories – A family run firm that offers FREE estimates with NO deposits required, guarantees all work, does not employ sub-contractors just our own professional team of surveyors, sales personnel, glaziers, window fitters and admin staff. True Window Care – the maintenance and repair service for all types of glazing, pvcu, aluminium or timber windows doors and conservatories. From a broken glass pane, misted or failed window units, draughty, damaged windows and doors to leaking seals – call our Window Repair and Care Team on 01522 500892. Our energy efficient windows are designed to save you money on heating by keeping you warm in winter and cooler in summer, available double or triple glazed and are manufactured here at our Lincoln HQ. 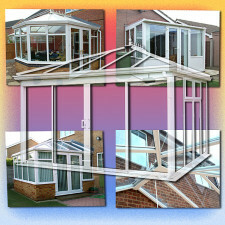 We can also upgrade your existing windows making use of the current frames saving you the cost of full replacement. Commercial, Public or Private Buildings, Owners, Landlords, Councils, Education Authorities, Builders, Local and National, all chose True Window and Glass Centre and the letters on the left of this page are just a few recommendations from our many satisfied customers.